Based on the original Quad II valve amp, it delivers the same refined sound making it a perfect match for the Quad QC24 valve pre-amp. 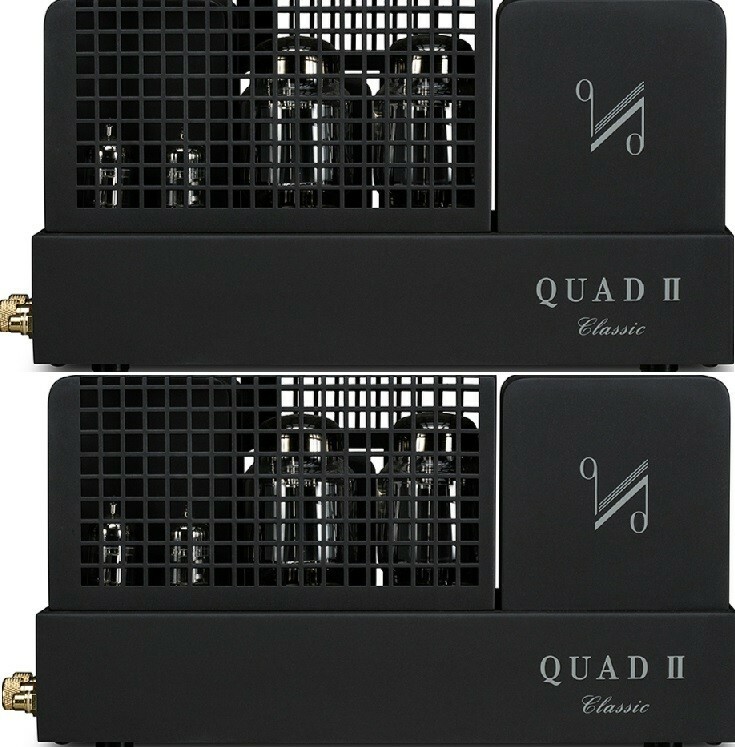 Quad Classic II mono valve power amplifier is a true reproduction of the original classic model, which gives audiophile listeners the ability to hear the spirit and atmosphere that emanated from one of the worlds most famous amplifiers. The original Quad II, introduced in 1953, and was designed by Peter Walker. 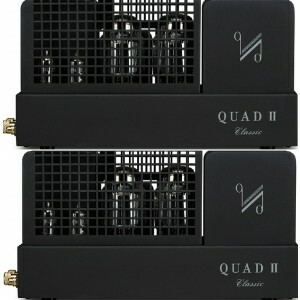 When the original Quad II was introduced, their were already many good quality valve amplifiers on the market. In comparison to the other valve amplifiers available at the time, the Quad II looked simplistic and unassuming, but performed far beyond what its diminutive dimensions might have suggested. The feature which differentiated the Quad II from other amplifiers of the time was its output stage. The amplifier was arranged so that the cathode coupled circuit mimicked the performance of triode operation but with the advantageous size and efficiency characteristics of pentode operation. It was the use of pentode that ensured the Quad II remained in continuous production up until 1970. Peter Walkers circuit design, and the design of the transformer, is legendary among audio electronic engineers. The original design has been extensively studied and analyzed by the greatest minds in the audio industry, its elegance and the coherence of the design is still regarded as a reference model today. Given the quite modest components available in the 1950's, it is quite amazing that Peter Walker was able to create an amplifier that was quite literally greater than the sum of its parts. Today the Quad II-Classic has been accurately recreated with output valves and input valves which are equivalent of the valves in the original design. Quad are performing a balancing act to ensure the same level of detail and the gentle tonality of the original. The output valves give approximately 15watts per channel, which operate as Class A, which is very small by modern contemporary standards, but it produces a beautiful sweet and refined sound, especially when paired with appropriately matched loudspeakers. The finish of the Quad II is a beautiful champagne finish. A perfect match when paired with the Quad QC24 valve pre amplifier and/or Quad ESL 2805 or ESL 2905 speakers. Please contact us for advice if you are interested in a complete Quad system.